Are Marriage Records Public in New York? 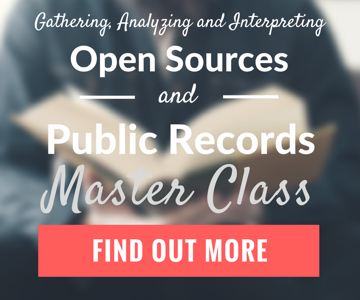 One of the most frequently asked questions relates to the availability of marriage records in New York and whether they are public records. The short (over)simplified answer is no, they are not public records. The term “public record” (at least my definition) implies that the record is open to the public and can be obtained by anyone with few or no restrictions. If that is how you define public record, then the simple answer is no, marriage records are not publicly available. You are a party to the marriage. The records are more than 50 years old, and both spouses are known to be deceased. You have a legal court order or other legal reason (i.e., an estate matter) to obtain the record. If your reason for requesting a marriage record does not fit one of those categories, it is not a matter of public record. …and you need a copy of a marriage certificate for someone who was married outside one of New York City’s five boroughs, you can make a request to the New York Department of Health. If the marriage took place within one of New York City’s five boroughs (Brooklyn, the Bronx, Queens, Manhattan or Staten Island), you must make a request to the Office of the City Clerk, Marriage Bureau. …and both spouses are known to be deceased, these are considered genealogical records, and they can be obtained either through the New York State Department of Health or through the New York City Municipal Archives if the marriage took place in New York City. There are some exceptions, such as a request from a direct line descendant (i.e., a child), but outside parties cannot request records that are less than 50 years old. You can also check with the local county. Westchester County, for example, has a vast resource of marriage records from 1908 through 1935. 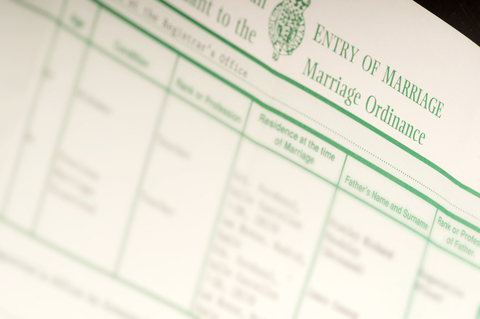 …to obtain a copy of a marriage certificate, you would have to contact the local county or town clerk. Every county handles this differently. For example, in New York City, the request can be made at one of several offices; however, in Westchester County, the request must be made in the town or city in which the marriage took place. In some cases, you will need a court-ordered subpoena; however, in other cases, you may need only a letter from an attorney. In a recent case involving a legal matter, we were able to obtain a confidential marriage record in New York City for evidence in a legal proceeding. We had to provide a letter from the attorney, which stated that “the Marriage Record is required as evidence in a legal proceeding,” and within an hour of our waiting in line, we were provided with a letter from New York City. In our case, we were provided a letter stating that two individuals were not married, which was critical evidence in our case.